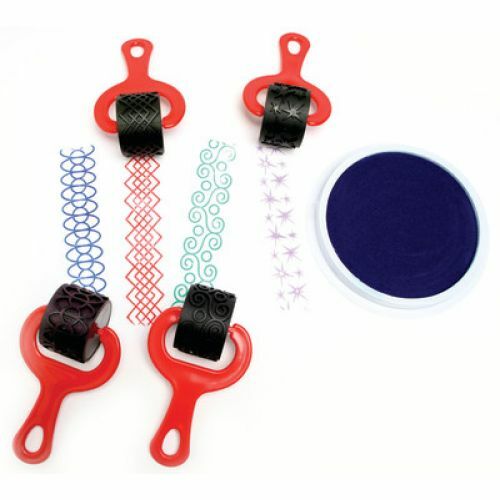 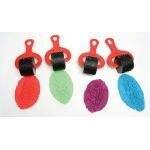 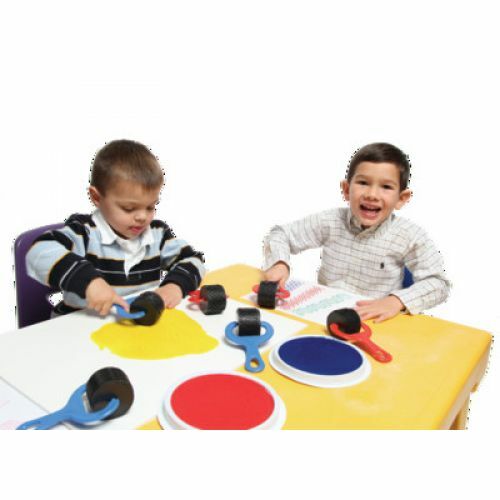 Here's a super set of 4 heavy duty rollers with 1-1⁄2" wide unique, inventive and clever designs for use with paint or clay. 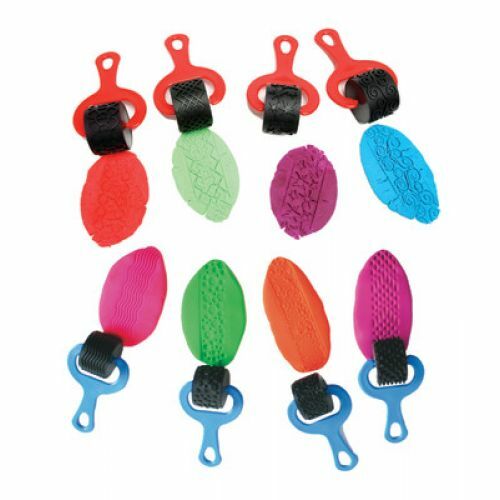 Each 5" durable plastic, comfort-grip handle features a unique design molded in hard rubber on a sturdy roller. Rollers are easily cleaned allowing for child-safe, long term use.